The Artwork Documentation Tool is developed in order to support artists in archiving their own work. 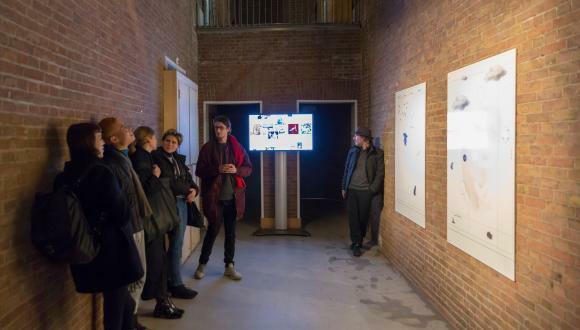 This tool is suitable for all artists working in the realm of born-digital art, in particular those building complex, software-based installations, and is the first tool of the project which is freely accessible through the LIMA website, see http://li-ma.nl/adt/. Explore new media artworks from our online catalogue, available for distribution. LIMA’s catalogue includes over two thousand media artworks dating back to the early experimentalists in the 1960’s, well-known international artists and upcoming talent in the field of video art and born-digital art. LIMA is among the global pioneers in the field, offering knowledge and supporting artists, museums, producers, collections and collectors with the preservation, documentation and digital sustainability of their media artworks. Our conservation specialists take care of digital preservation of all type media art works, store born-digital art and media artworks and ensure it can be exhibited now and in the future. LIMA is continuously investigating new methods for the preservation, archiving, curatorial presentation and distribution of media art through research projects, knowledge exchange, workshops and a public programme with various events and activities. With our public programmes and projects we want to make media art more accessible and stimulate critical discussion and reflection.